The point here is that the pigs – being pigs – will not be able to appreciate the pearls for what they are. They mean nothing to them. But one’s own supply of pearls will be rather limited and on top of that, one probably expects something in return for parting with a pearl. In this scenario, no one wins. Not the pigs, and not the pearl caster. So don’t do it. Our cultural obsession with pigs does not stop with the bible. On the contrary, pigs are the metaphorical animal of choice for morally and cognitively corrupt characters such as Stalinists, popularized by Orwell’s “Animal Farm”. Of course, none of this is limited to pigs. We like to use animals metaphorically, from black swans (the book is *much* better than the movie) to hedgehogs and foxes. Never wrestle with a pig. You’ll both get dirty, but the pig will like it. Observing most of what passes for public discourse these days, this seems to have been forgotten. It is important to remember this as I do not believe that the rules of engagement for public fights with pigs have changed all that much since time immemorial. I do understand that it drives ratings, but it is not all that helpful. Or at least, one should know what to expect. To be clear, the idea is that one wastes one’s time because it won’t work, due to inability or unwillingness on behalf of the pig. And it is not restricted to singing, either. Other have pointed out that it is equally pointless – and even harmful – to try to teach pigs how to fly. A lot of this has been summarized and recast into principles by Dale Carnegie. So how *should* one interact with pigs? As far as I can tell, the sole sensible practical advice – bacon nonwithstanding – is that the only way to win is not to play, when it comes to pigs. How relevant this is depends on how many pigs there are and how easy it is to distinguish them from non-pigs. Sadly, the population of proverbial pigs seems to be ever growing, likely due to the fact that societal success shields them from evolutionary pressures imposed by reality (to make matters worse, a lot of the pigs also seem to have mastered the art of camouflage). In this sense, a society that is successful in most conceivable ways is self-limiting, as it creates undesirable social evolution because the pigs can get away with it, polluting the commons with their obnoxious behavior (although the original commons was a sheep issue). This will – in the long run – need to be countered with a second order cultural evolution in order to stave off the inevitable societal crash that comes from the pigs taking over completely. This is a task for an organized social movement. In the meantime, how should individuals handle pigs? Probably by recognizing them for what they are (pigs) and recognizing that they probably can’t help being pigs. And not have unreasonable expectations. It could be worse. In another fable, the punchline is that one should not be surprised if a snake bites you because that is what snakes do. Will an invocation of the “swine maneuver” forestall adverse outcomes? Does the gatekeeper go away if he is called out on his behavior? Does it amount to pouring oil into the fire (not unlikely, as most pigs can read, these days. Although it could go either way)? That is an empirical question. On a final note, teaching pigs to fly hasn’t gotten any easier in the internet age. Preaching to people who already share your beliefs is easy. What is hard is to have a productive discussion with someone who empathically does not share your fundamental premises and perhaps effect positive change. Mostly, these exchanges just devolve into name-calling. Not useful. To be clear, we are talking about proverbial pigs here. 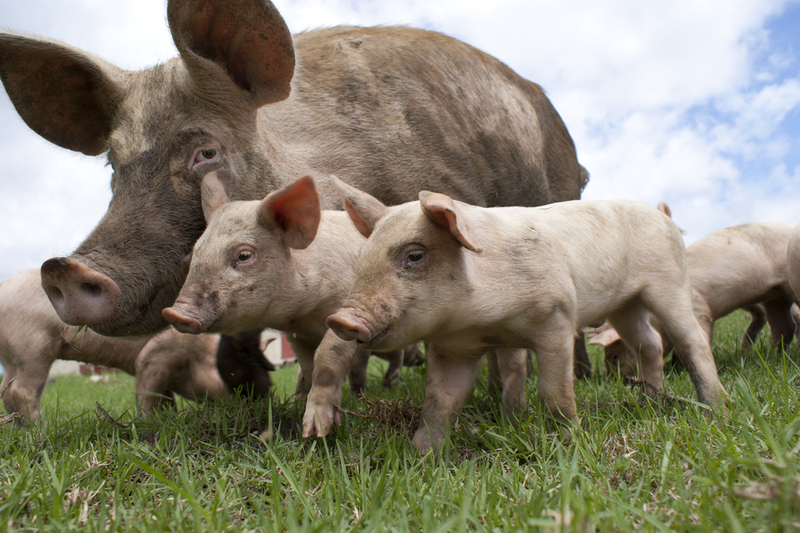 Actual pigs are much more cognitively and socially adept (not to mention cleaner and less lazy but perhaps less happy) than most cultures – and religions – give them credit for (they are probably maligned to help rationalize eating them). “I’d rather not deal with such questions, because anyway it’s like shearing a pig – lots of screams but little wool“. This entry was posted in Optimization, Social commentary, Strategy. Bookmark the permalink.